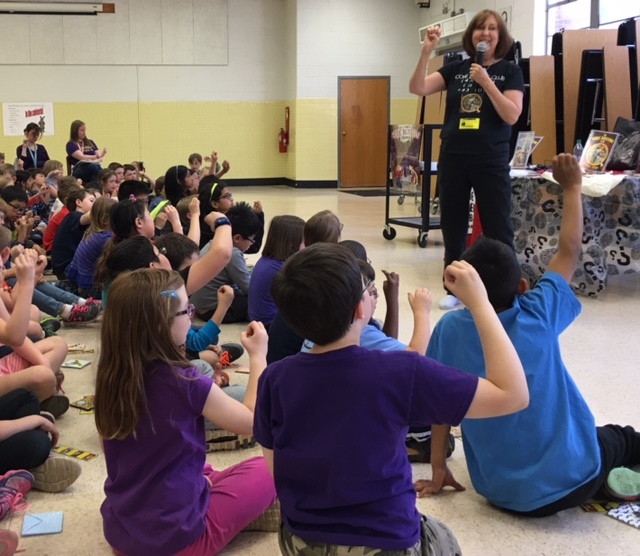 The Code Busters Club author Penny Warner drops by the blog to talk about mysteries, Pokemon Go, and her favorite books. I wrote my first short story in 4th grade about a witch and a haunted house. It was published in the local newspaper and I was thrilled! But I didn’t start writing seriously until after my first child was born. I had degrees in Child Development and Special Education, so I started writing books to help parents with their kids. What inspired the Code Busters Club series? I was writing in two areas–child development and mysteries. I thought why not write a mystery for kids? I loved reading mysteries when I was a kid, especially Nancy Drew, and I loved learned and creating secret codes to send to my friends, so I added the code-busting element to make the books interactive and even more fun to read. 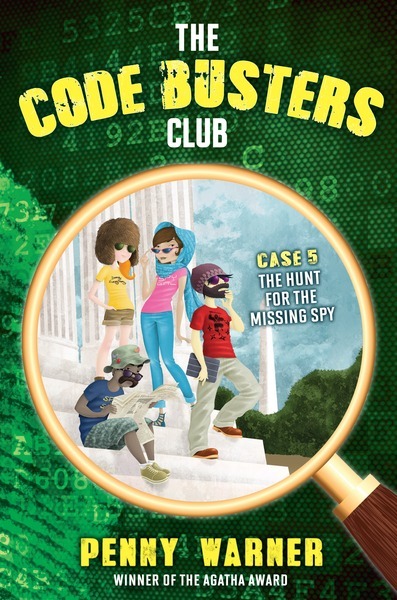 How do you think of the mysteries the Code Busters solve? Have you had any real-life mysteries you’ve had to solve? What a great question! I’ve never been asked this—and yes! When I was around fourteen years old, my friend and I found a packet of papers in an old house that had burned down. The papers turned out to be quite a mystery, full of newspaper clippings about disappearances and letters about strange happenings. We spent six months trying to track down the owners to return the papers while piecing the mystery together but they seemed to have vanished. It’s an unsolved mystery that still haunts me. Which Code Busters Club character do you identify with most and why? When I speak at schools, the students always ask me this. Truthfully, there’s a little bit of me in all four. Cody loves codes and likes to solve mysteries, as do I. (I just wish I had her red hair.) Plus she knows sign language, like I do. Quinn loves to play games—I love to play games. M.E. is a fashionista—I’m not! But she’s also a bit of a chicken, just like me. And Luke is strong, brave, and athletic—nothing like me! But I aspire to be more like Luke! What are you reading now and what are your favorite books? My favorite books are classic mysteries, from Nancy Drew to Agatha Christie to Sue Grafton. I also love Sherlock Holmes, James Bond, and Freddy the Pig (AKA Freddy the Detective). Right now I’m reading several books—A Tale for the Time Being by Ruth Ozeki (all about Japan! ), The Book Scavenger, and My Big Fat Zombie Goldfish. My to-be-read pile is ginormous, filled mostly with middle-grade fiction. Visiting new settings (Boston Freedom Trail, Winchester Mystery House, Magicland, Japan) and thinking up new stories to write. creating fun free stuff for the Code Busters Club members, like dossiers, trading bookmarks, handbooks, invisible ink pens, code cards (to join the club and get free stuff, go to www.codebustersclub.com). speaking at schools (I’ve done more than 50 schools and met hundreds of students, including some in Japan). 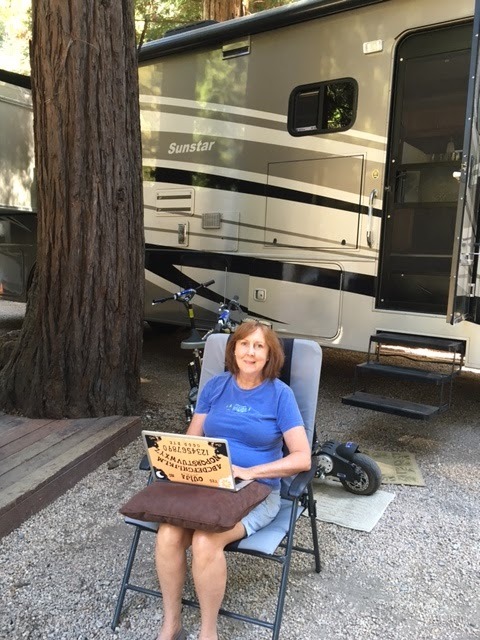 taking weekend trips in the RV (the redwoods, the beach, the Gold Country) for a change of scenery and new places to write. and eating chocolate, playing Pokemon Go with my grandkids, riding my electric Uber Scooter, making pop-up cards and book cover necklaces, and watching Houdini and Doyle on TV. ( 4 /\/ ‘/ () (_) ( |2 4 ( |< + # 3 ( () |) 3 ???? This series is our favorite! Penny's code busting club series is amazing and so engaging. We are loving it! Thank you for this great interview!